We use top products like Botox for the skin treatment! we stock only the best skin care products and use only cosmeceuticals and pharmaceutical grade skincare as well as supplements. The unique thing about ENVIRON is its use of vitamins, antioxidants and essential nutrients to correct chronic deficiencies of the skin. ENVIRON was the first cosmetic house to include effective doses of the combination of Vitamin A, C and Antioxidants into products formulas. ENVIRON does not endorse the testing of raw materials or finished products on animals; all clinical trials are conducted on human volunteers. ENVIRON formulations avoid the addition of preservatives, colourants and fragrances wherever possible. ENVIRON products are suitable for all ages, all skin types, all photo types, men and women. And it works. jane iredale uses quality formula’s with skincare benefits. The highest quality ingredients are used to ensure satisfaction with performance, coverage, application and texture. Minerals used conform to the most current technology available to ensure broad spectrum sun protection. Attention to quality extends to the vitamins and antioxidants used, which are pharmaceutical grade and certified organic where available. Bestow is about unlocking nature’s gifts and sharing them with women who are ready to know. We draw from past wisdom and from nature itself to nourish skin, enrich beauty and endow confidence. We bestow. 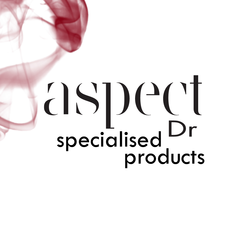 Aspect Dr was formulated for the professional clinical environment with the need for pure, clinically validated actives that excel in the visible management of prematurely aged skin, discolorations, imperfections and temperamental or delicate skins. At different stages of our lives our skin undergoes various changes. To keep the skin looking its best Aspect Dr has a range of treatments used only by clinical professionals to enhance and improve the appearance and texture of the skin. RevitaLash Cosmetics was inspired by Dr. Michael Brinkenhoff as a gift for his wife, Gayle. They are a company built on love, integrity, and natural beauty. Committed to helping others look and feel their best. A percentage of revenue is donated to Breast Cancer Research. Nourish Your Skin at the Source. to maintain and improve your skin’s health.